Quentin Miller has been dropping a ton of new music in 2016, and it seems he's trying to sustain his buzz from the ground-up, without any extracurricular talk of ghostwriting or any drama linked with that situation. 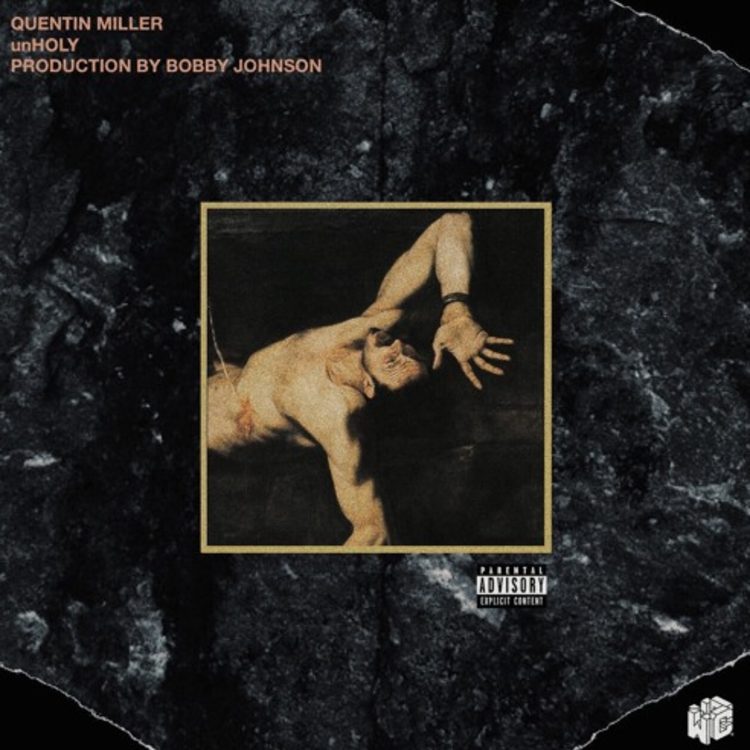 Today, he's dropped a new track, "unHOLY," produced by German beatmaker Bobby Johnson, the man behind the breakout hit of Que -- namely "OG Bobby Johson." Miller's new track is an example of slow-burning, lyrically-focused trap, a lane he has been persisting in carving out. His voice doesn't immediately stand out, though his slick flow is certainly envied by many ATL rappers, and his songwriting skills are impressive, too, though that's been obvious ever since his more secretive credits were revealed. "It's been a little minute now / N*ggas thought I would be finished now / Damn, you still in this now?" Miller asks in second-person to finish his final verse, before an instrumental outro from Bobby Johnson. After a slew of quality records, he certainly is.